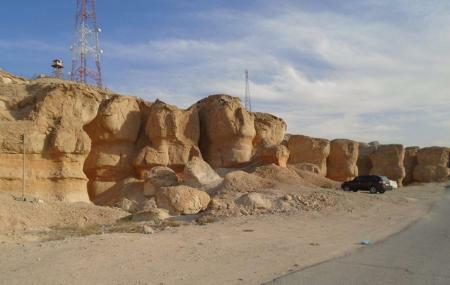 The Al Qarah Mountain is rated as the top attraction in Al Hofuf by many tourists. The beautiful golden sands are sure to mesmerize you while the date trees tower tall upon you. These golden sands almost give a reflection of being wavy and look very nice. If you are interested in archaeology, then this attraction should definitely be a part of your itinerary. It is regarded as a geomorphic attraction by many. To personalise your visit to the city, you can use an all-inclusive Al Hofuf trip planner for the same that will give detailed information about visiting the city. Oomph up your visit by adding the best hotels in Al Hofuf like Al Eairy Apartments- Ihsa 1, Al Eairy Apartment-al Ahsa3, Garden Plaza Hotel (salmaniah) and Hofuf Hotel. Choose from variety of exclusive Al Hofuf vacation packages for your next visit or create own own. Check out the various options for how to reach Al Hofuf and finish off your vacation package by booking the ideal transfer. Love this? Explore the entire list of places to visit in Al Hofuf before you plan your trip. Fancy a good night's sleep after a tiring day? Check out where to stay in Al Hofuf and book an accommodation of your choice. How popular is Al Qarah Mountain? People normally club together Qaisariah Souq and Al Ahsa Mall while planning their visit to Al Qarah Mountain. It was a great improvement to what it was before. They added lights, pathways, and restrooms for the comfort of all visiting the place. A lot of fellow expatriates calls this place "Judas Cave" for some reasons I don't know why. I used to live in the city about 20 years ago and this place was as fascinating as it is now. Their are definitely some changes now with the facilities and the development of the area, some of them for the better. The place is easily accessible by a normal car as long as you know the route or have a working Map app. It's not at all far from the city and has plenty of facilities around. The place itself has multiple coffee shops, restaurants and general stores. The location is fascinating to me, the mountain structure and the cave network inside it are pretty awesome. Would definitely recommend a visit if you're in the area. A gorgeous location, yet oddly overpriced. $15 for an area that takes 15 minutes to explore is hardly a decent value. I Loved the natural rock formations and the little "secret" areas you can explore, but there isn't enough going on to justify the price. Wear a mask-- the sand is in your face (literally)!